The Non-Insured Health Benefits (NIHB) program provides supplementary benefits for a range of medical goods and services. This program is available to registered Indians, Inuit, and Innu or an infant up to one year old of an eligible parent. The NIHB program is in place to meet medical and/or dental needs not covered by provincial, territorial, or other, third party health insurance. 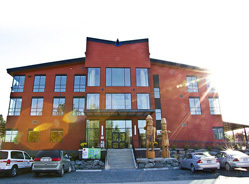 In BC, NIHB is administered by the First Nations Health Authority. First Nations Health Information Package.